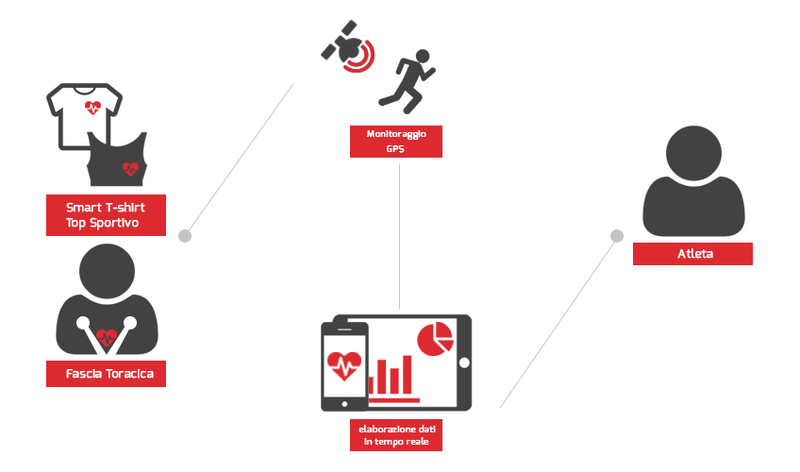 X.Runner – System to monitor vital signs for all runners, amateur and professional. Based on RESCO® technology it takes the information related cardiac and respiratory activity of an athlete and on the basis of these produces statistics on the quality of an asset. The solution evaluates the performance of an athlete also according to its activity, through the combination of data collected with accelerometers and gyroscopes to identify the types of movement performed. The presence of GPS tracking sensors allows the evaluation of the loads used in certain fields of activity, highlighting areas in which the exercise is effective.